PennsylvAsia: Made in Abyss: Journey's Dawn (劇場版総集編【前編】メイドインアビス 旅立ちの夜明け) in theaters in March. Made in Abyss: Journey's Dawn (劇場版総集編【前編】メイドインアビス 旅立ちの夜明け) in theaters in March. 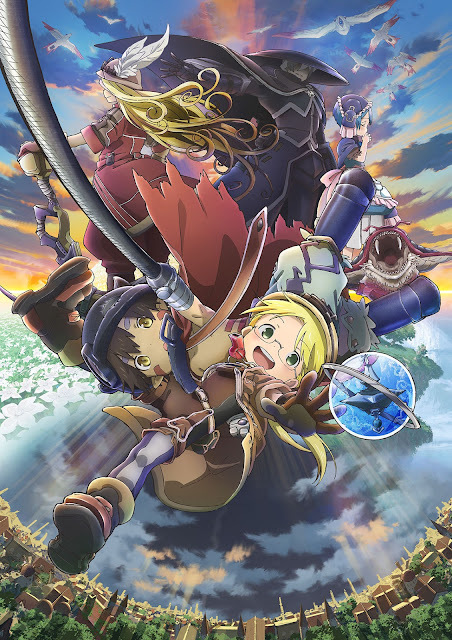 Made in Abyss: Journey's Dawn (劇場版総集編【前編】メイドインアビス 旅立ちの夜明け), a 2019 compilation film from the popular anime series, will play in US theaters in March. This exclusive event will include behind-the-scenes footage, Japanese created spots, and a reflection on how MADE IN ABYSS mirrors fairytales. The March 20 screening will be subtitled, while the March 25 screening will be dubbed in English. Tickets are not yet available, though if other films from this distributor are any indication, it will play at the Pittsburgh-area Cinemarks.